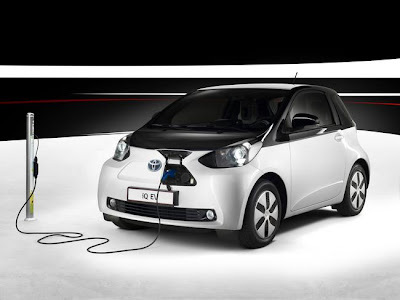 While China threatens Japan with supply limitations of rare earths, Japanese companies are actively seeking to grow their own exposures in rare metals and lithium, which will become an important part of the electric car manufacturing process. Toyota this week bought a 25% stake in Salar de Olaroz lithium and potassium project in Argentina to ensure supply for it growing electric cars division. This is the first time a Japanese company gets involved in large-scale mining of the white element, key for producing batteries that fuel electric vehicles. The Japanese carmaker’s move doesn’t come as a surprise. Through its subsidiary Toyota Tsusho, it has long been looking to secure a stable supply of lithium for car batteries. Japan's demand for the so-called white gold is around 17,000 tons a year — enough to supply batteries for an average of 550,000 vehicles. This means that Salar de Olaroz would cover a large part of Toyota’s requirements for at least 15 years. The mine, which has an estimated life of 40 years and very low cost as one of its main advantages, will also produce about 10,000 tons of potassium. Australian Orocobre, which owns the Salar de Olaroz deposit, said it retained 66.5% of ownership, while the Jujuy provincial Energy and Mining Society of the State (JEMSE) owns the remaining 8.5%. The state-run Japan Oil, Gas and Metals National Corporation has guaranteed $200 million to develop the project thanks to a low rate interest loan by Mizuho Corporate Bank. Negotiations will be closed in two weeks and construction is expected to start as soon as possible, with the objective of commencing commercial operations in 2014. The mine will produce 17,500 tons per year, said Orocobre in a statement. That amount exceeds the originally estimated 16,400 tonnes. Orocobre seems to have reached a good position in the rising market of lithium and rare earths. It recently acquired another project in Argentina from Rio Tinto that adds exposure to boron minerals and complements its existing lithium properties. The miner expects to produce around 17,500 tonnes of lithium carbonate a year, which is an increase on its initial 16,400 feasibility estimate. Other than in batteries for hybrid and electric cars, lithium is used in a variety of high tech devices such as tablets, notebooks, digital cameras and cell phones. The price for this commodity is expected to reach $6,100 in the coming years, with demand growing 6% annually.